Headstart Total Body is a registered salon. Did you know that anyone can open a salon? This is why you may hear in the press about dangerous practises at some salons, and why it's important to be informed about the qualifications and ongoing training of your stylist. Our clients can rest assured that we are, and always have been, a registered salon that follows a code of ethics. At Headstart, we constantly up-skill and train; Simone attends meetings to keep up with any Government changes, and our team often goes to educational training. Simone has been passionate about hairdressing from a young age. In her more than 30 years as a stylist, she has never had a day where she doesn’t enjoy the challenge of creating something new. She has always loved making people feel beautiful and appreciates the science behind new hair colour and hair care trends. Simone believes that there are always things to learn; she enjoys attending Hair Expo to see what’s new in hair and beauty, and continues her own education with seminars and courses. 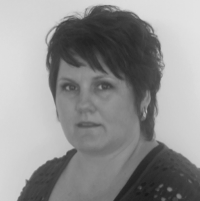 Simone is an assessor for the West Auckland region, which involves examining apprentices when they do their finals. Favourite product: Total Results High Amplify Foam Volumizer. "Gives fine hair body and shine without weighing it down." 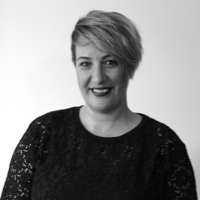 Emma started her stylist career as Simone's first apprentice at the age of 17, and returned to Headstart Total Body in 2012. She loves her work and believes hairdressing is an art, requiring an incredible amount of training and commitment to achieve success. 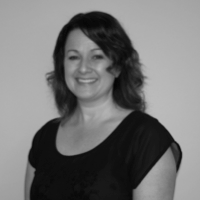 Emma is an assessor for the West Auckland region, which entails examining apprentices when they do their finals. She completed a Cut Above make up course in 2013 and enjoys competition work. Fave new product: Matrix Watercolors. "Absolutely beautiful demi colour in a range of pastel shades." Gina has always had a passion for hairdressing and makeup. "My older sister would make me sit for hours while she did my hair and makeup!" Gina recently completed her training at the Premier School of Hairdressing receiving her National Certificate in 2018. 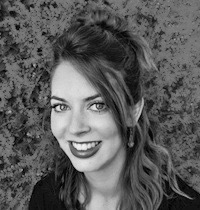 She has eight years experience as a makeup artist and trained at the Ponsonby School of Makeup. 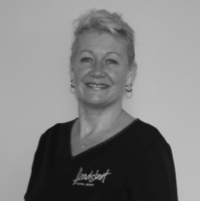 Gina enjoys the opportunities hairdressing offers to indulge her creative side and loves to help her clients achieve the look they are after. "While skin tone and eye colour play a big part, you can certainly break boundaries and be adventurous with colour these days." Product recommendation: Cezanne Smoothing Treatment. "My clients have been having great success with this amazing treatment. Say goodbye to frizzy hair, you won't be scared of a rainy day or swimming again! Abigail first started hairdressing in her home town of Whakatane, then did more training in Auckland and completed her National Certificate at Headstart. She believes hairdressing is an art, and sees the head as a canvas. Abigail loves using more natural and organic products, and her passion is colouring and styling both curly and straight hair. Bronwyn first trained as a massage therapist, then decided to compliment those skills by training as a beauty therapist, gaining her NZQA Aesthetician Diploma. Bronwyn enjoys meeting people and getting them looking and feeling great. Her favourite treatment to give is a pedicure. "I love seeing the huge transformation it makes to the look and feel of my clients." Favourite product: Environ C-Quence Eye Gel. "Love, love this product! Great for everyone, no matter their age and really improves the eyes overall appearance."